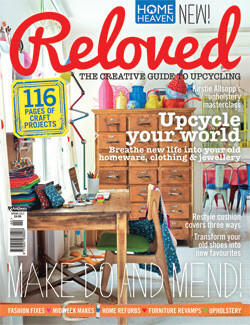 If you haven't checked out Reloved magazine yet, I recommend you do so. 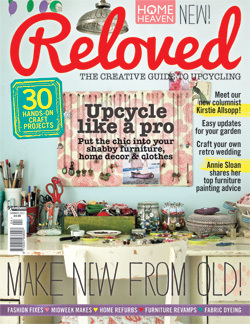 It has a lot of great ideas, DIYs, inspiration and just plain eye candy. Yum! Here's what they say about themselves... Reloved is the exciting new magazine at the heart of thrifting, shabby chic and upcycling. With an emphasis on breathing new life into old, forgotten objects, it brings a hands-on approach to this thriving pastime. 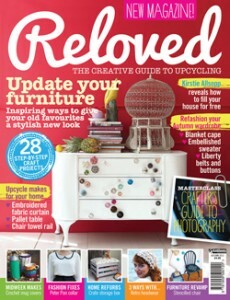 Featuring at least 25 substantial projects in each issue.